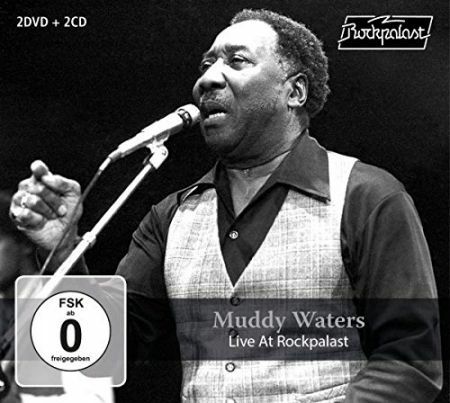 65 at the time of this concert on December 10 1978 in Dortmund, Germany, Muddy Waters was still a powerful performer and he had a fine band behind him: Pinetop Perkins on piano, Jerry Portnoy on harp, Bob Margolin and Luther ‘Guitar’ Johnson on guitar, Calvin ‘Fuzz’ Jones on bass and Willie ‘Big Eyes’ Smith on the drums. The set list includes several Muddy classics but also less obvious choices like St Louis Jimmy Oden’s “Soon Forgotten” which follows on from show opener “Hoochie Coochie Man”. Muddy is seated most of the time but his fiery slide work on the extended slow blues “They Call Me Muddy Waters” certainly excites the crowd, as does Pinetop’s superb solo. Jerry Portnoy leads the band into a sprightly “Walkin’ Thru The Park” which incorporates some latin rhythms before the pace slows for “Country Boy”, another feature for Muddy’s slide work. 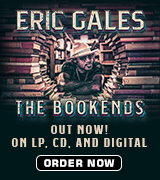 We then get two classics from other sources in “Kansas City” and “Caledonia”, often in BB King’s live repertoire, but here driven by Jerry’s harp work and the rhythm section’s foot-tapping work; both numbers leave space for strong solos from Bob and Luther and Pinetop gets in on the act with a verse or two of vocals on each tune. Little Walter’s “Everything Gonna Be Alright” has Luther taking the vocals as Muddy prepares himself for the big finale, a run of “Mannish Boy”/”Got My Mojo Working”/”Sweet Home Chicago”. This version of “Mannish Boy” is terrific as Muddy puts his guitar down, leaves his stool and gets the crowd going with his antics as he delivers the familiar lyrics, the ultimate boasting tune! The band leaves the stage but returns for the encores: first “Mojo” (on which Jerry and Muddy literally shake a leg – an image beautifully captured on the packaging of the set) and then the band returns a final time (without Muddy) for the Chicago ‘anthem’, led by Luther on vocals, Willie showing how to drive a Chicago shuffle while smoking a cigarette! Sadly, disputes over money led to that band leaving Muddy in 1980 and Muddy then passed away in 1983. However, in the 90’s the band members reunited as The Muddy Waters Tribute Band and on the second DVD they are captured at an outdoor festival in Loreley, Germany, June 23 1996. Luther, Bob, Calvin and Willie are all still there but Pinetop was unable to travel due to health issues so there is no piano and Jerry Portnoy is replaced by Carey Bell who has a smoother style. Although we inevitably miss Muddy’s charisma the performance is good and the energy levels are high. Bob handles the slide elements that Muddy used to play and immediately shows how he learned from Muddy in the way he delivers his solo on “Clouds In My Heart”. Vocals are shared out, Luther sounding good on “Walkin’ Thru The Park” and “Can’t Lose What You Never Had” but Calvin, on Jimmy Reed’s “You Don’t Have To Go” and Muddy’s “Honey Bee”, is less convincing. Carey Bell sings “Everything’s Gonna Be Alright”, plays some great low register harp on “Laundromat Blues”, a song more usually associated with Albert King, and brings us back to Muddy with “I’m Ready”. Willie takes over vocals for a frenetic version of “If The Washing Don’t Get You, The Rinsing Will” and his own shuffle “Hard Hard Way” before “Hoochie Coochie Man” which he delivers convincingly. Levon Helm of The Band guests on “Gone To Main Street”, sharing the vocals with Bob and seeming to enjoy himself immensely. The final two tunes are the inevitable “Mojo” and “Mannish Boy” which Bob sings in his deepest voice and certainly channels Muddy in his performance. Overall a nicely presented box set which will allow the owner to see Muddy and the two bands on stage as well as being able to play the companion CDs while driving etc. Both concerts are well recorded, the earlier set perhaps having the best sound as a few feedback issues mar the later show. 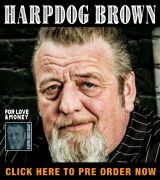 However, this will be a ‘must have’ for Muddy fans and would act as a great introduction to his music for anyone just starting out on their exploration of the blues.